Caol Ila Whisky distillery is on the Isle of Islay a major island in the Scottish inner Hebredies. Just north of Port Askaig on the seashore, facing the isle of Jura. With a production capacity of 6.5 million litres the Caol Ila (cull-eel-a) distillery is the largest distillery on Islay. This distillery provides the peated malt whisky content for Diageo blends such as Bells, J&B, Johnnie Walker. 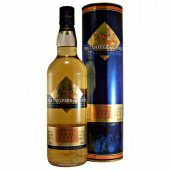 The Caol Ila whisky distillery house style is a smokey phenolic malt whisky. Caol Ila whisky distillery founded by Hector Henderson in 1846. Who was a partner in the Littlemill lowland distillery. During 1852 Henderson, Lamont & Co Ltd run into finacial difficulties. The result is Henderson has to sell the Caol Ila Distillery to Norman Buchanan. He runs the distillery upto 1863, when he sells it onto Bulloch, Lade & Co. The distillery gathers its water from Loch Nam Bam “over which ever the anon and fragrant breeze from the myrtle and blooming heather is wafted” (Alfred Bernard 1877). The Caol Ils distillery is rebuilt and expanded in 1879. Bulloch, Lade & Co goes into liquidation during 1920. The new Caol Ila Distillery Ltd becomes a subsidiary of Robertson & Baxter Ltd.
Who’s management came under control of Distillers Company Ltd (DCL) in 1927. Control passed to DCLs Scottish Malt Distillers (SMD) in 1930. However the distillery fell silent for the1930-37 period. The distillery underwent a major reconstruction during 1972-74 costing £1million. All the distillery buildings apart from the warehousing was demolished and replaced with larger better-designed buildings. Single pair of stills replaced with 6 new stills. 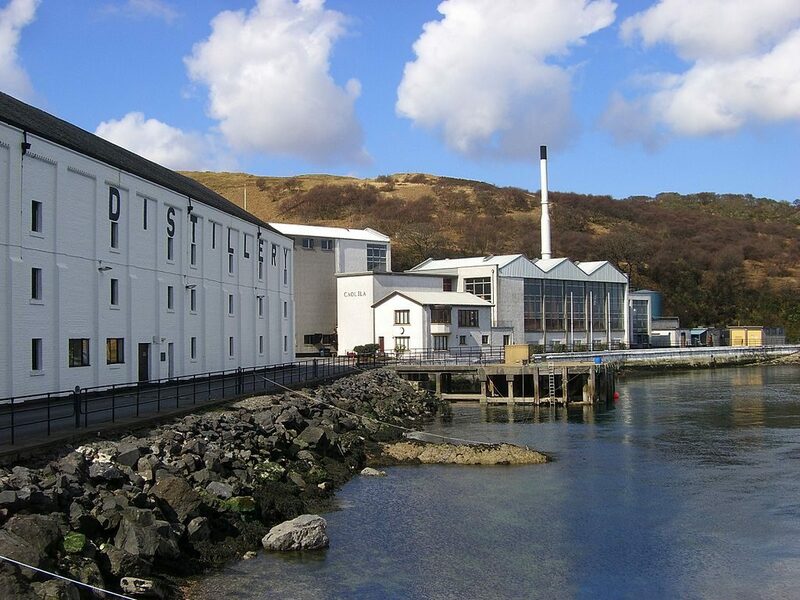 The distillery started distilling again in 1974 obtaining its malt from DCL’s Port Ellen. An expansion programme of £3.5 million for 2011 introduced a replacement mash tun, 2 new stainless steel washbacks plus a new control system for the still house. Regarded as a full bodied, pungent, delightfully smoky whisky has long been a favourite amongst blenders. Caol ila malts are used in Bells and Johnnie Walker Swing. Founded in 1846 by Hector Henderson. Location; Islay Region, East shoreline district Port Askaig. Water source; Loch Nam Ban (Torrabolls Loch). 13.5 tonne stainless steel full lauter mash tun. 8 Finnish Pine Washbacks. 2 Stainless steel washback. 6 Tall Elegant Slender Onion Large Capacity Stills. The wash stills are trimmed with red hatches, the spirit still are in blue broad necked with gently slopping lyne arms. Two spirit stills (Abercrombie) dating from the 1973 rebuild. The Caol Ila distillery visitors centre is well worth a visit and regularly run guided tours of the distillery throughout the course of the day. A number of the tours include tasting sessions where you can sample some of the drams they have to offer. The Caol Ila whisky distillery core range consits of a no age statement called Moch, 12, 18, 25 year olds, moscatel finish Distillers edition. Cask Strength. There are also limited editions of unpeated Caol Ila as “Special Releases” and they have joined the Islay Festival with a Feis Isle release. 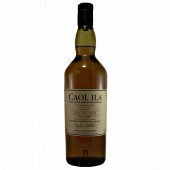 Caol ila is popular with independant bottlers such as Cadenhead, Douglas Laing, Gordon & MacPhail Connoisseurs Choice and Hunter Laing Hepburns Choice.